Serving a base population of 350,000, extending to 500,000 for some tertiary services, Barwon Health in Geelong, Victoria is one of the largest and most comprehensive regional health services in Australia. As a leading regional health service, Barwon Health has been adapting to industry changes, while at the same time implementing its own changes and improvements to deliver the best possible care. Most recently these improvements have been seen in their new purpose-built renal services building, state-of-the-art neurosciences ward, surgical hub redevelopment, highly commended dental outreach program, paediatric emergency short stay unit and growing research capability, strengthened by their partnership with Deakin University. Considerable progress has therefore been made against the current strategic plan with additional resources now being directed towards other priority areas such as mental health, drug and alcohol and emergency medicine. The State Governments recent announcement of an additional $100m investment and commitment towards a new women’s and children’s hospital for Geelong and the Barwon south west region, has also been met with excitement by the community and Barwon Health itself, affirming the organisations position as one of Australia’s leading regional health services. More imminently due to open however is Barwon Health North, a $33 million Government investment in to a purpose built, state of the art flexible medical facility ensuring people living in the northern suburbs of Geelong receive safe, high quality care and treatment closer to home. 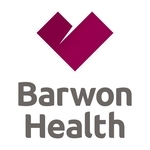 Set in a vibrant and growing community, Barwon Health offers a unique opportunity for candidates who possess substantial experience in successfully leading a large and complex public health organisation and have a reputation for building and supporting a dynamic, respectful organisational culture. 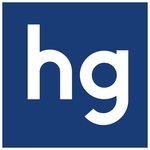 We invite qualified candidates to contact Paul Ingle on +61 (0)402 796 125 or pingle@hardygroupintl.com for a confidential discussion.